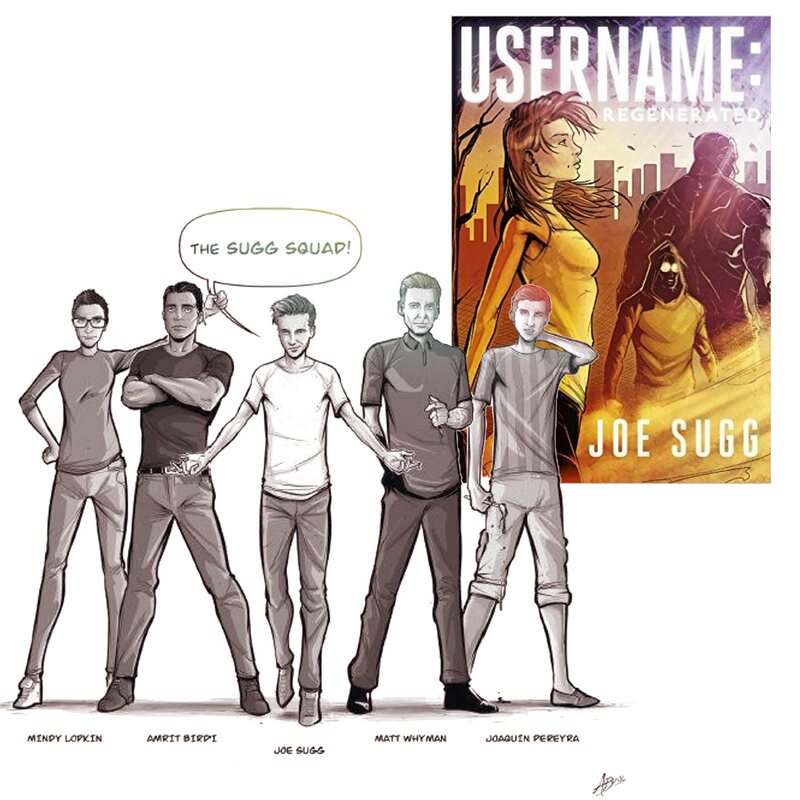 Last year, I was part of the creative team that worked with YouTube star, Joe Sugg, on his record-breaking graphic novel, USERNAME: EVIE. Today sees publication of the sequel, USERNAME REGENERATED. Judging by this cartoon taken from the book, I haven't aged in 12 months, which is just how it should be.